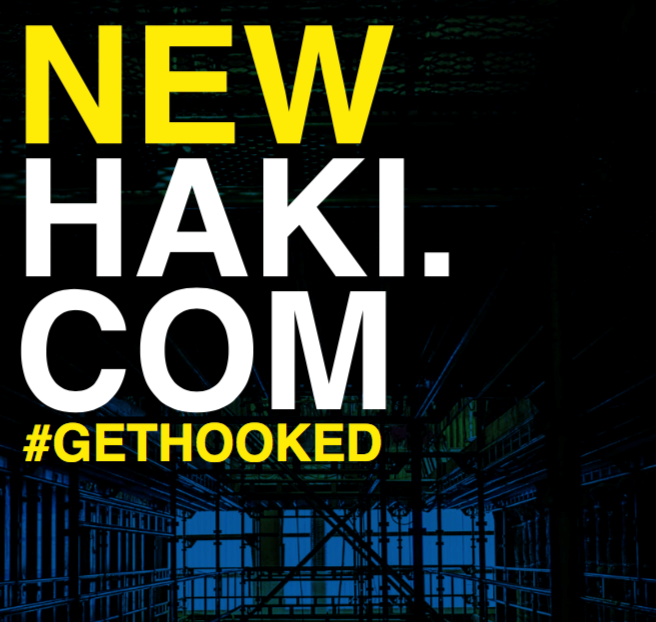 Leading worldwide scaffolding, weather protection and stair tower manufacturer HAKI Scaffolding are proud to unveil a brand new global website. The multi-language website launched on April 18th replacing the old websites, which featured separate HAKI domains in different languages for different markets within the HAKI sales network. Now these are all housed under one user friendly .com site, with translations into English, French, Danish, Norwegian and Swedish easily available from a menu on the website’s header. Featuring advanced functionality and fully optimised for an enhanced user experience regardless of the choice of desktop, mobile or tablet viewing device, HAKI.com showcases the growth of the HAKI brand, its proud 60+ year heritage, the latest business news, fascinating project reports from across the globe and a plethora of product information. Brand new system scaffolding products like the HAKI Bridge System (HBS), Public Access Staircase (PAS), UTV slim stair tower and the MK2 of the brand’s world-famous HAKI Stair Tower system take pride of place in the products section of the website. And the busy HAKI #Gethooked social media streams and films are integrated into a central ‘social hub’ on the home page – allowing HAKI clients, new and old, to stay up to speed with the many developments within the global Swedish brand in one place. The all-new website also features a packed downloads section – offering a wealth of useful user material, technical data and product information for HAKI clients and prospective buyers alike. And there is a simple to operate contact section, allowing users to locate the HAKI sales, training and technical/product support networks nearest them. Chris Stokes, VP Marketing and Business Development for HAKI said: “Developed across the HAKI network and marketing team, the website has been over a year in construction and offers the very latest in website design and we’re thrilled to be able to unveil the new site. It’s a superb ‘shop window’ into the expanding HAKI product range and worldwide brand.